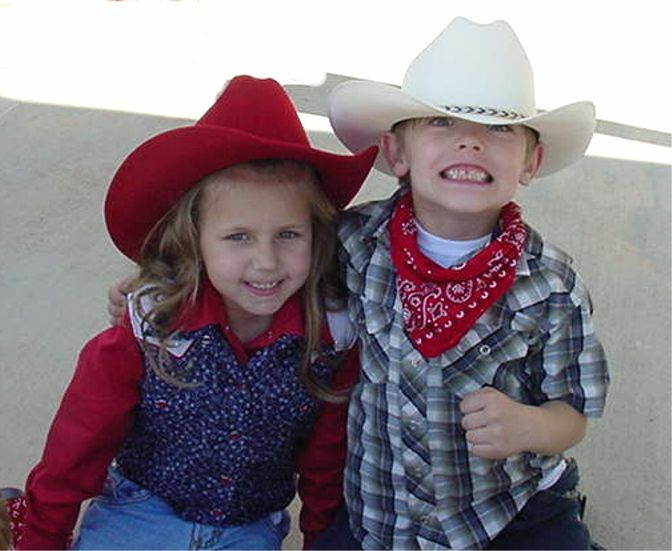 On Thursday, March 6, 2007, the kindergarten classes became "cowgirls" and "cowboys" for a day as they participated in all types of "Western Day" activities. 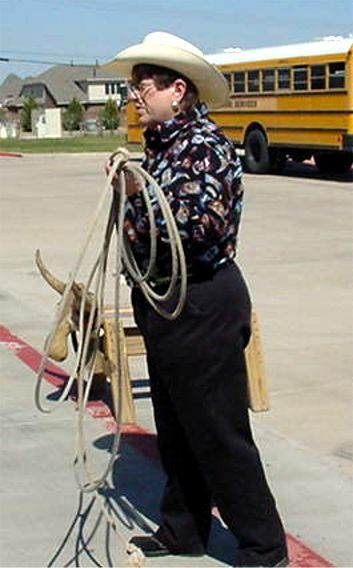 Assistant Superintendent Angie Averhoff, a real cowgirl, even came to show off her roping skills. 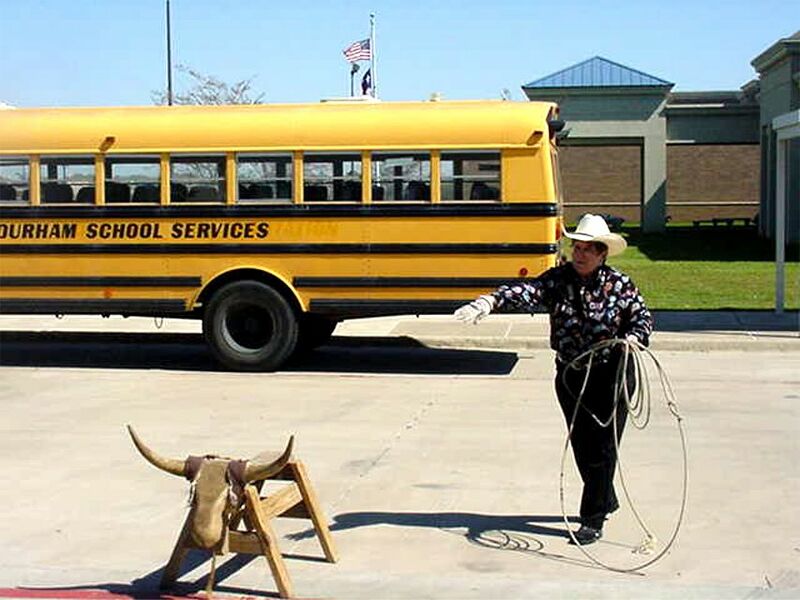 to help out and try their luck with the rope! 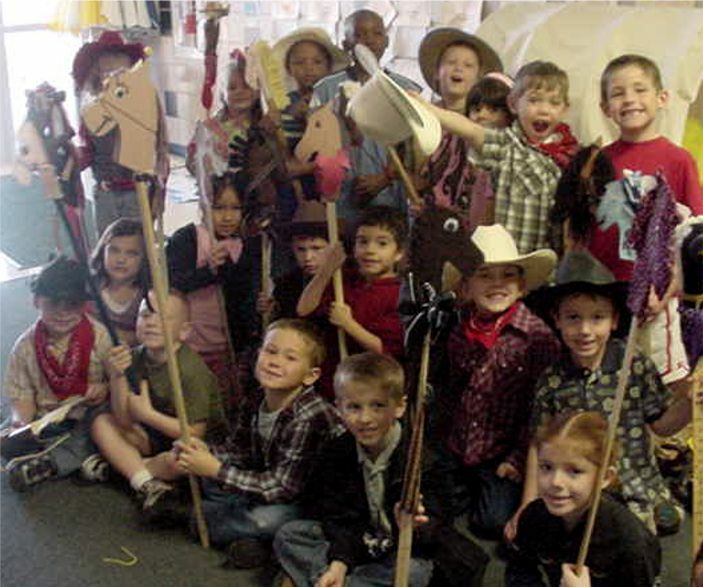 After the roping show, 1st and 2nd graders enjoyed watching the kindergartners as they had a stick horse parade through the school. 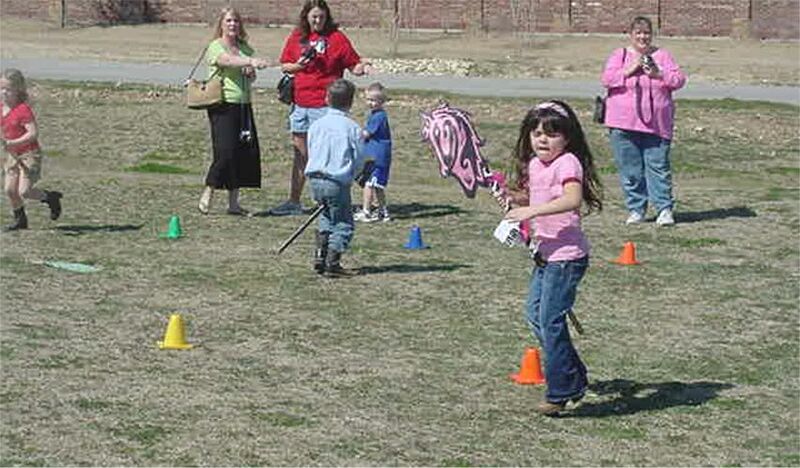 They had a lot of fun galloping through the hallway on their stick horses! 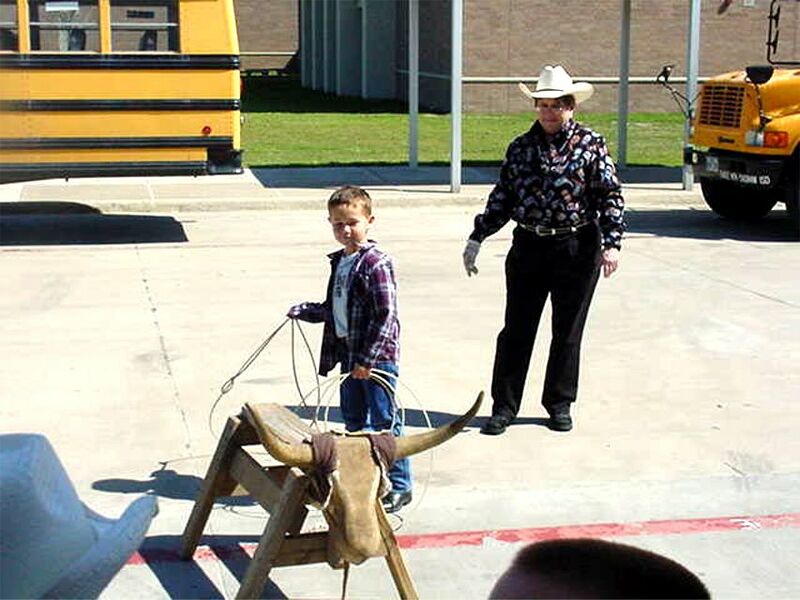 After the "parade" the kindergarten classes made their way outside for the "rodeo." 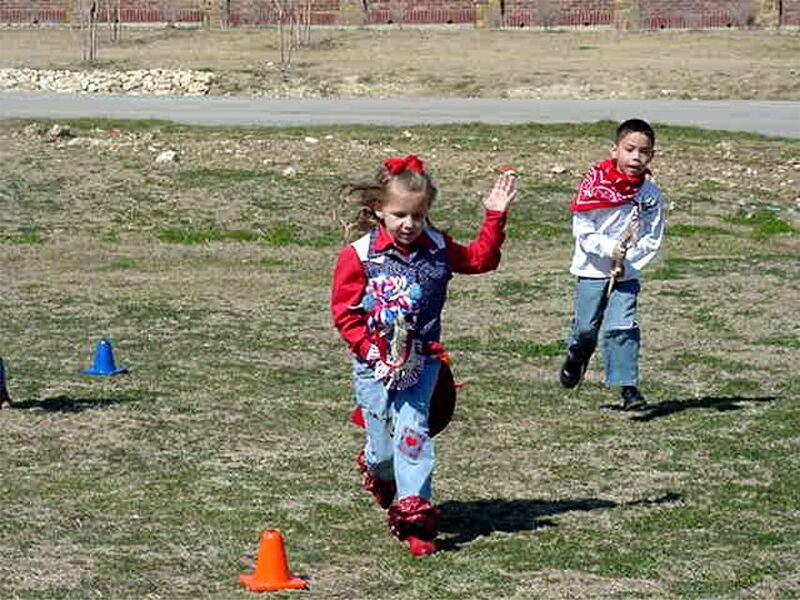 The kids showcased their skills as they raced through cones to compete in their own version of "barrel races!" 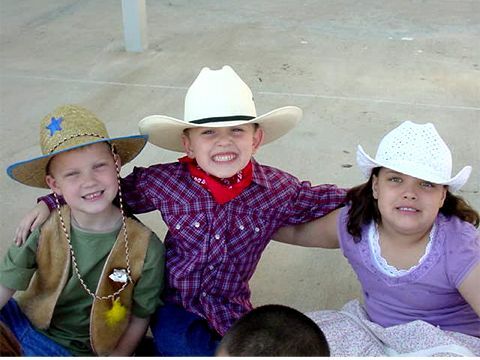 We had a great time being "cowgirls" and "cowboys" for a day! 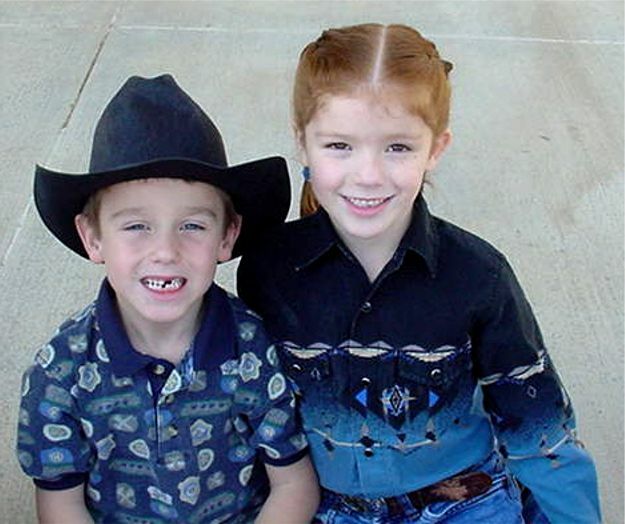 View this page using Internet Explorer 3.0 or higher in order to hear music.